New month, new ideas! Today we are ready to share some cool outfits with those who want something eye-catching and classic at the same time. 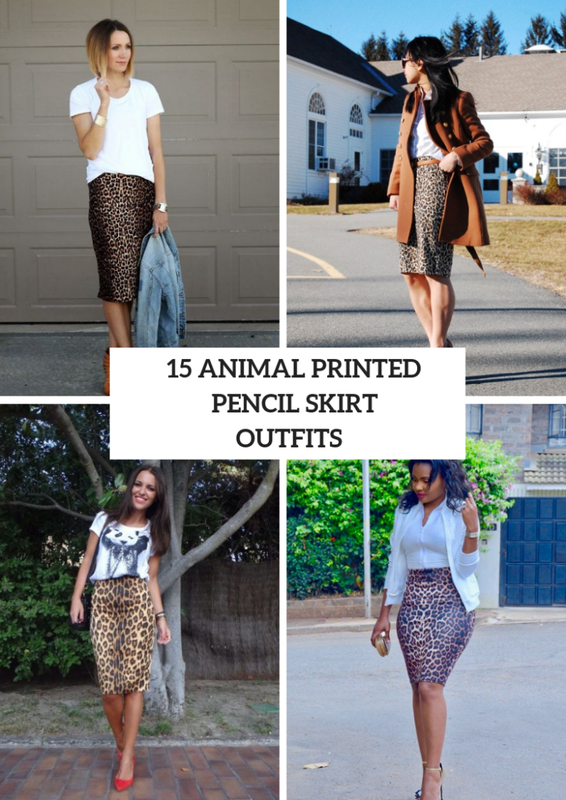 And I want to pay your attention to one more printed pencil skirt idea — an animal printed one. Of course, animal printed pieces of clothes are not good for an office, but you can boldly create a casual, relaxed or cocktail party outfits with them. For more unique looks you can mix them with other printed items or bright colored ones, but for more elegant outfits you should choose a neutral colored shirts and classic shoes. So now scroll down and enjoy! For colder early spring days you can take a black loose crop sweater and combine it with a leopard printed pencil knee-length skirt, a black leather tote bag and black ankle strap shoes. Or you can mix a white shirt with a midi skirt, a gray leather bag and black cutout boots. Wanna something chic and elegant? Then you can try to repeat a combination with a white wrapped blouse, a leopard high-waisted pencil skirt and pale pink pumps. 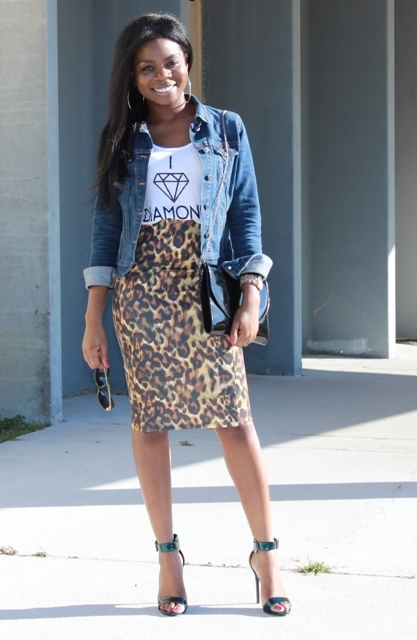 As you can see below, many fashionistas pair an animal printed skirt with denim pieces of clothes, so you can follow their examples. 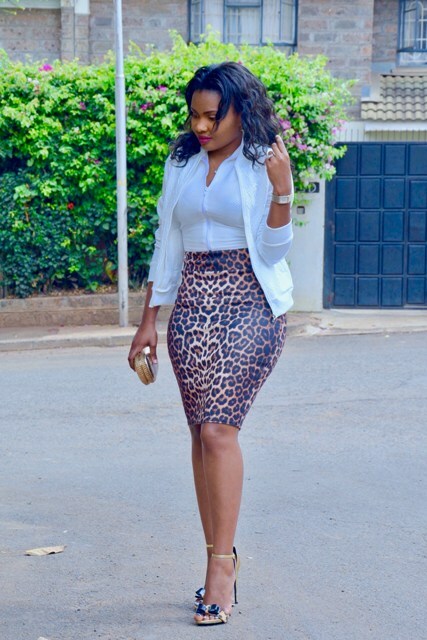 Just take a white loose t-shirt and combine it with a leopard midi pencil skirt, a denim jacket and brown leather ankle boots. Or you can choose a labeled t-shirt and mix it with a denim crop jacket, a high-waisted skirt, a chain strap bag and ankle strap high heels. If you have a brown coat, then you can pair it with a white button down shirt, a brown leather belt, an animal printed knee-length skirt and leather platform shoes.